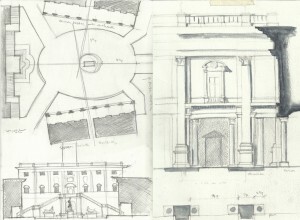 Works on this page were completed during my semester studying abroad in Rome Italy. 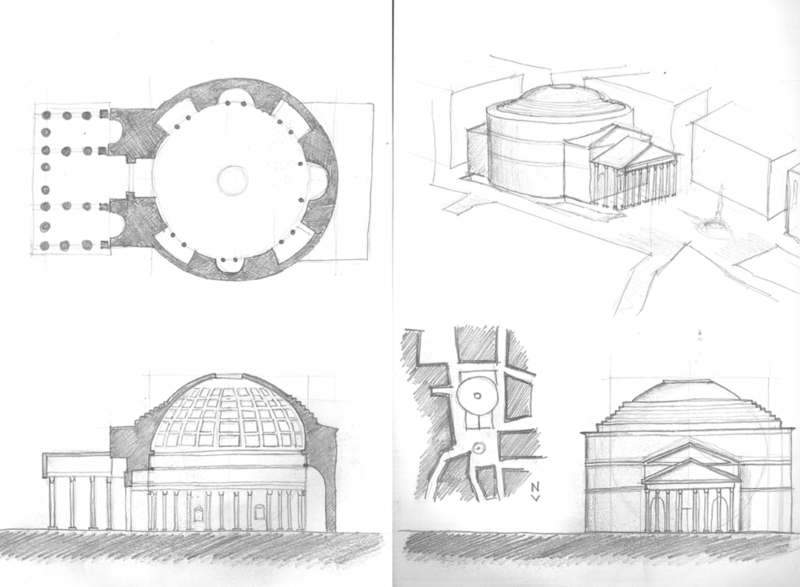 In addition to an architectural studio, we had classes in the history of Rome, drawing technique, and the history of Italian design. 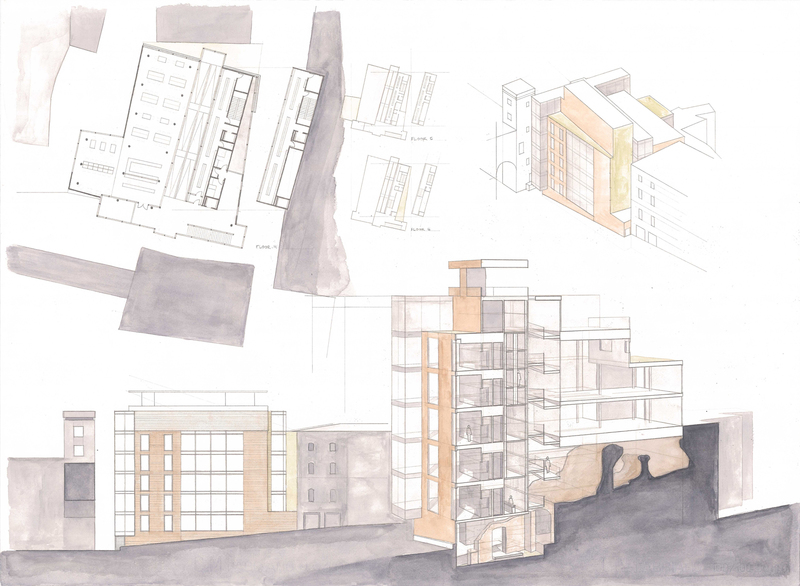 The studio project was intended to be a culmination of all of our diverse studies, so it was not as thorough of an architecture project as other studios. During the semester in Rome, one of our classes focused on improving our sketching and hand work skills by having us keep a sketchbook and using the city as a classroom. 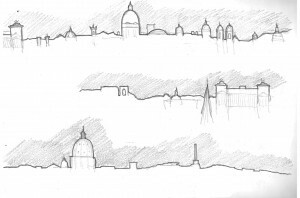 Each week we would travel to a different location in the city to study it and perform a drawing assignment. During the semester, we worked with pencil, conte, charcoal, and watercolor in this class. 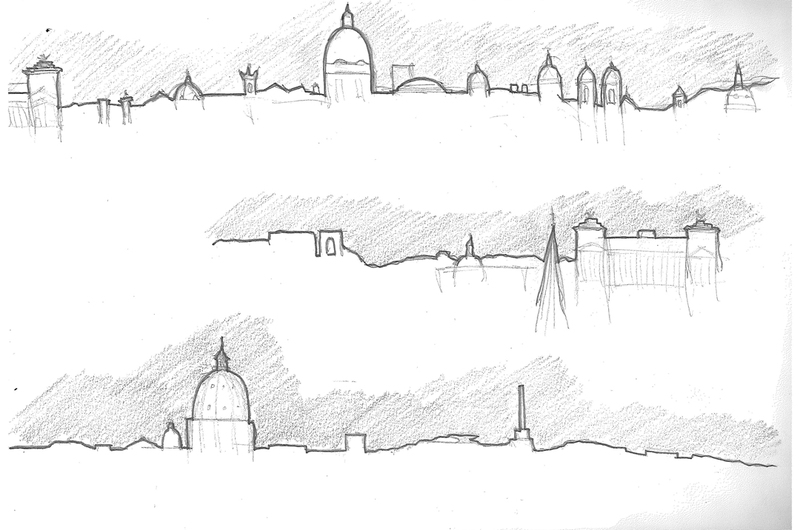 This is a small selection of the work from my Rome sketchbook. The main project while in Rome was a rare book library located in the ruins of Trajan’s Market. 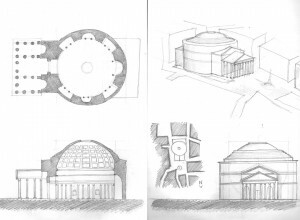 The program included closed rare book stacks, large reading rooms, an auditorium style meeting space, and a café. 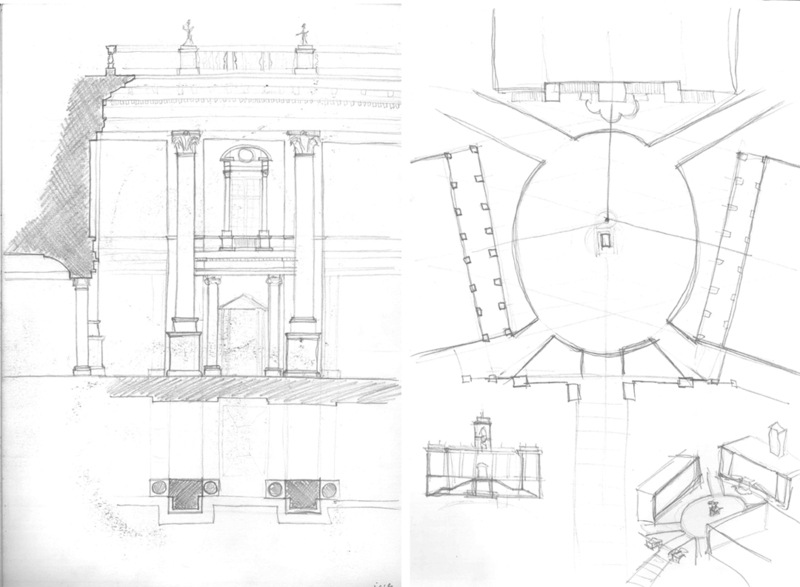 This project, serving as the culmination of our work in Rome, was to be a hand drawn and rendered analytique in the beaux arts style and built upon the skills developed in our sketching work. This project presented some complex challenges. 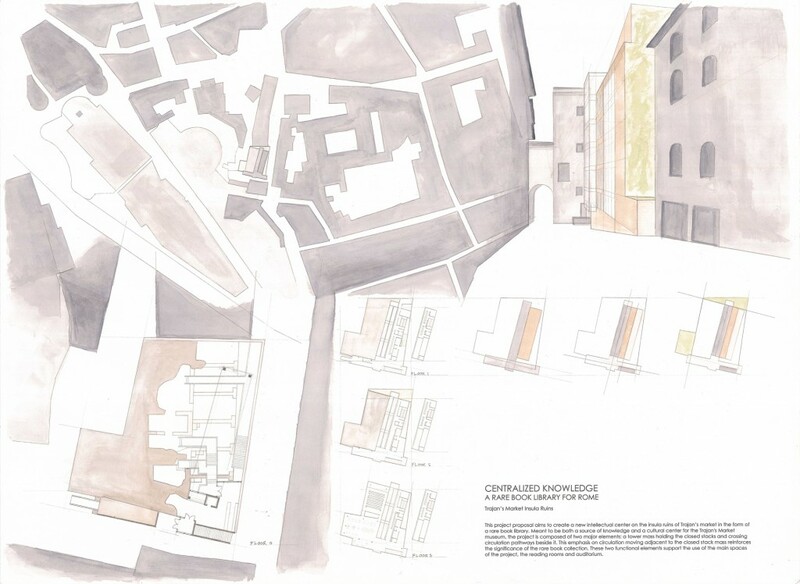 The site is a section of Insula ruins with buildings on the north and south side, a narrow sloping road on the east side, and the public space of the museum on the west side. The ruins are multileveled and generally sloping upwards to the west so that the public level of the museum is about 30 feet higher than the road on the east. The ruins are protected so any new construction had to have minimal impact. Additionally, the program calls for a large library, requiring multiple stories. 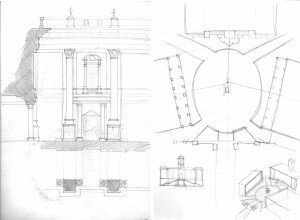 The first concept I used in designing this project was to place the stacks as the most important element of the building by placing them in a tower element at the center of the building, raised above the ruins. 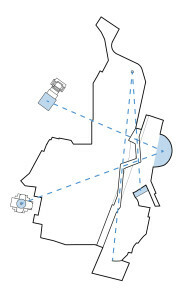 Two bars of circulation were then placed along either side of the tower, one split as ramps that travel back and forth across the front of the stacks. 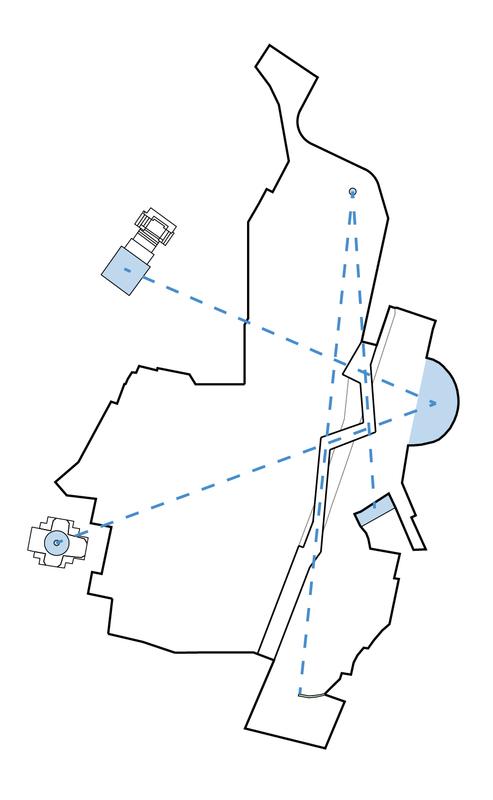 The tower element was also split so that the stacks and public spaces were along the west edge and circulation and private spaces were on the east side. 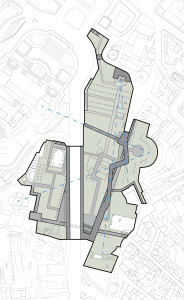 To maximize the capacity of the stacks, the tower piece has 7 foot floors, creating half floors of just stacks between the main public floors. An early group project of the semester was to redevelop the Trajan’s Forum area into a public living museum by introducing new paths and structures into the site. The group began by analyzing the existing conditions and diagramming pathways, sightlines, and historical roads in order to develop a masterplan. 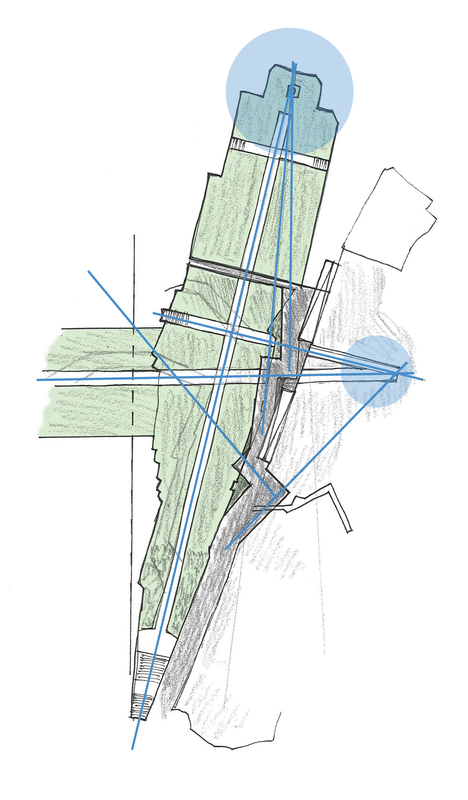 Our new plan redeveloped the existing Via Alessandrina into a zig-zag pathway that purposefully directed views at significant structures. 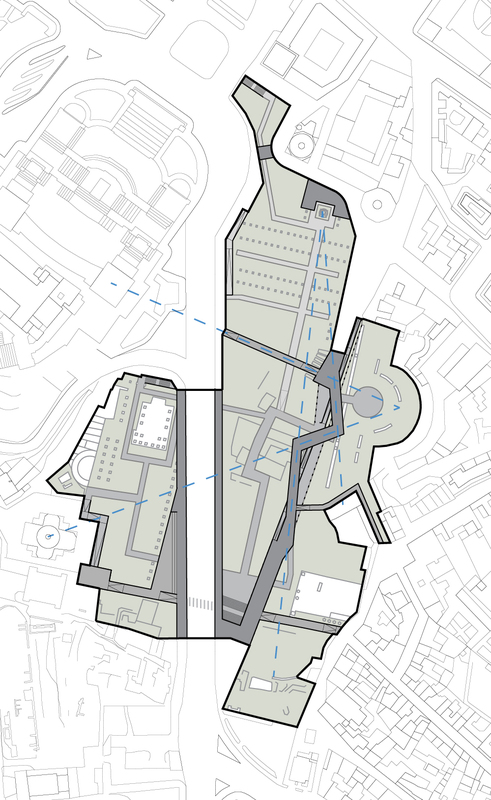 New ground level pathways were added, accessed by ramps at Via Alessandrina. The section of Via dei Fori Imperiali between the Forum ruins is replaced with a bridge so that the ruins level can be opened up for exploration.